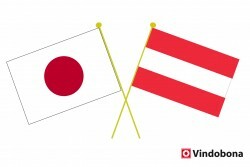 What Does the EU-Japan Economic Partnership Agreement Mean for Austria? The Federal Ministry for Digital and Economic Affairs has calculated that the savings potential through the elimination of customs duties amounts to around one billion euros across the EU and to around EUR 34 million for Austria. For Austria this means a rather modest growth effect of 0.011 percent of GDP. Japan is already the second most important economic partner for Austria in Asia after China. The agreement with Japan, the fourth-largest economy in the world, the second-largest trading partner in Asia and the EU's sixth-largest trading partner in the world, abolishes most of the tariffs payable by EU companies (EUR 1 billion per year).